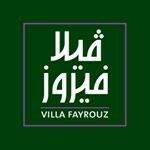 Villa Fayrouz Restaurant Kuwait, last updated on 28 March 2019 , is listed under Lebanese Restaurants category. It was added to Kuwait Directory Rinnoo.net on 14 March 2015 . Pages of Villa Fayrouz Restaurant Kuwait on Rinnoo.net have achieved 75,997 views till now. Villa Fayrouz boasts a glitzy elegance with its stylish interior of dark wood and delicious authentic Lebanese cuisine, making it one of Kuwait’s most attended Lebanese restaurants. Opened in 2001, Villa Fayrouz invites its diners to a culinary experience of robust flavors, perfectly-cooked tender barbeques, and beautifully presented hot and cold mezze.